Beijing: China and Southeast Asian states kicked off their first joint maritime exercises on Monday in an effort to ease regional tensions linked to rival claims in the South China Sea. 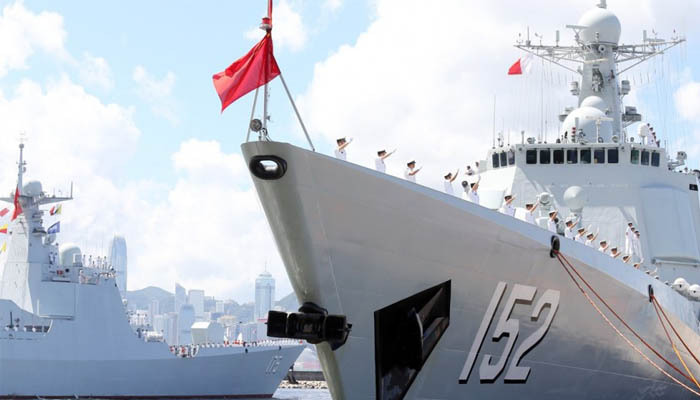 Eight warships set sail from the port of Zhanjiang, in China´s southern Guangdong province, with 1,200 military personnel taking part in the event, according to Chinese state broadcaster CCTV. Beijing´s expansive claims to the South China Sea have long been a source of friction with rival claimants in Southeast Asia, as well as Washington which has traditionally been the dominant naval power in the area. Singapore, which is co-organising the event, Brunei, Thailand, Vietnam and Philippines deployed ships to participate in the exercise, according to China´s defence ministry. In a speech during Monday´s opening ceremony, Singapore chief of navy, Rear-Admiral Lew Chuen Hong emphasised the security benefits, as well as economic growth, to be reaped from regional collaboration, reported The Strait Times. The United States has raised concerns about China´s installation of military facilities in artificially-built islands in the South China Sea, and routinely conducted "freedom of navigation" operations to challenge Beijing´s territorial claims.